A. Lange & Söhne just introduced seven new models at SIHH 2016, including the flagship Datograph Perpetual Tourbillon. Here's an overview of all seven, including specs and prices. The doors of SIHH 2016 have just opened and here’s a first look at what A. Lange & Söhne has lined up. 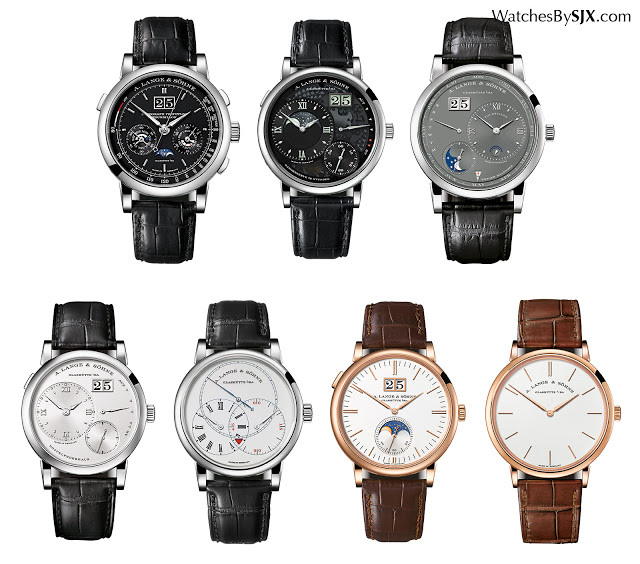 Seven new wristwatches have been unveiled, including three equipped with new movements. Highlights are the Datograph Perpetual Tourbillon and Richard Lange Jumping Seconds (with a constant force escapement too). The Datograph Perpetual Tourbillon is exactly what its name implies, the Datograph Perpetual plus a tourbillon regulator. Unusually the dial is entirely black, including the oversized date display. The dial layout is identical to that of the Datograph Perpetual, with two sub-dials for the chronograph and perpetual calendar. And at 41.5 mm in diameter, the case is also the same size as the Datograph Perpetual. 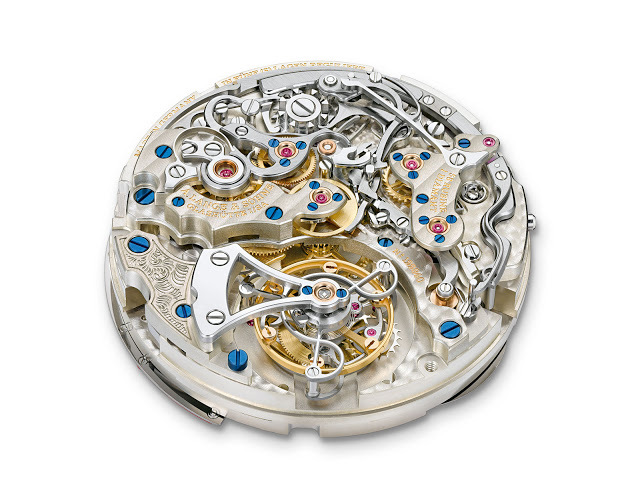 The movement inside builds on that of the Datograph, and is similarly impressive. 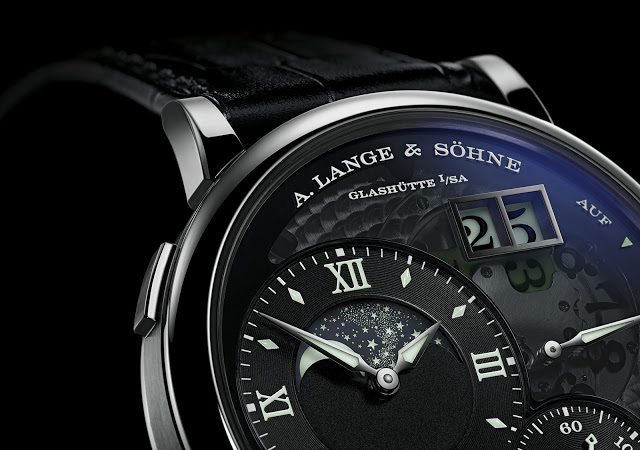 The tourbillon is large, with the three-armed cage in the typical Lange design. 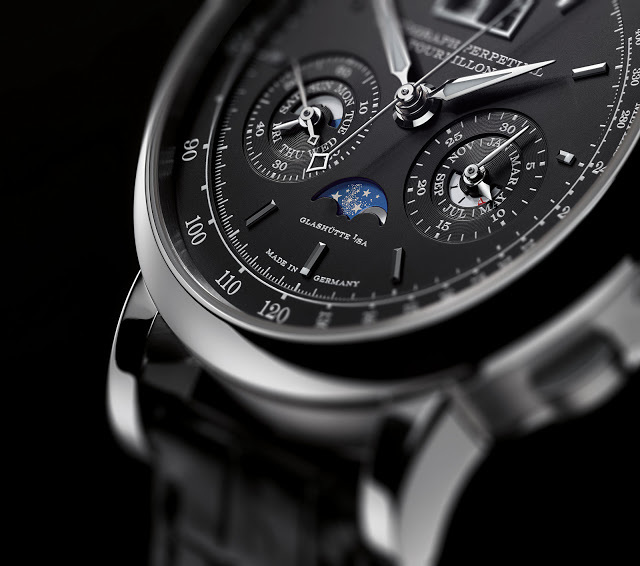 Limited to 100 pieces in platinum, the Datograph Perpetual Tourbillon is priced at €295,000, including 19 percent tax. 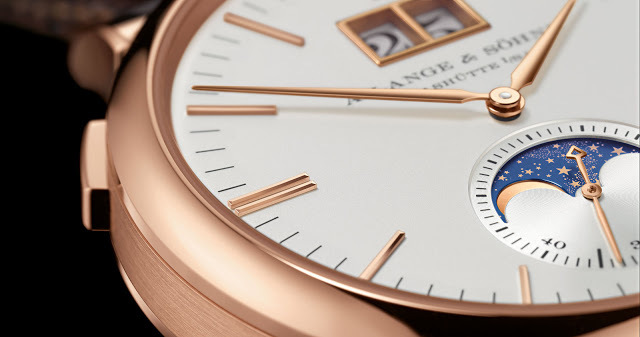 More affordable but equally, or perhaps more, interesting is the Richard Lange Jumping Seconds. This has a regulator dial, with the hours, minutes and seconds separated into individual sub-dials for legibility – a layout first found on the Richard Lange Tourbillon Pour le Merite. Importantly, the seconds is a deadbeat seconds, moving in one second ticks. But it’s not mere visual trickery, the seconds hand is driven by a constant force mechanism that jumps in one second intervals, explaining the motion of the seconds hand. But that’s not all. It is also equipped with a zero reset mechanism, meaning the seconds hand returns to 12 o’clock and freezes when the crown is pulled out for time-setting. 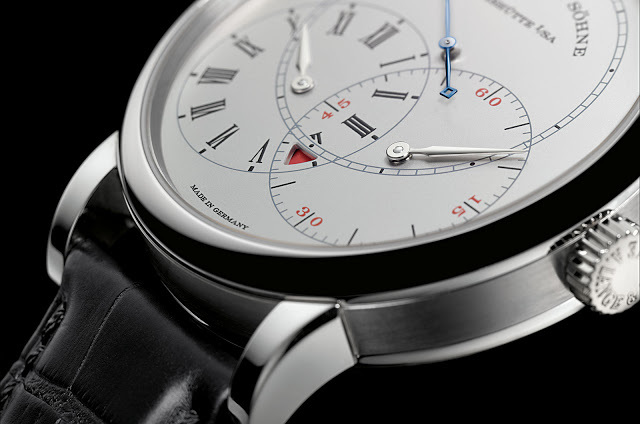 Its last notable feature is the power reserve display: ten hours before the 42 hour power reserve runs out, the triangular aperture at six o’clock turns red, indicating winding is needed. 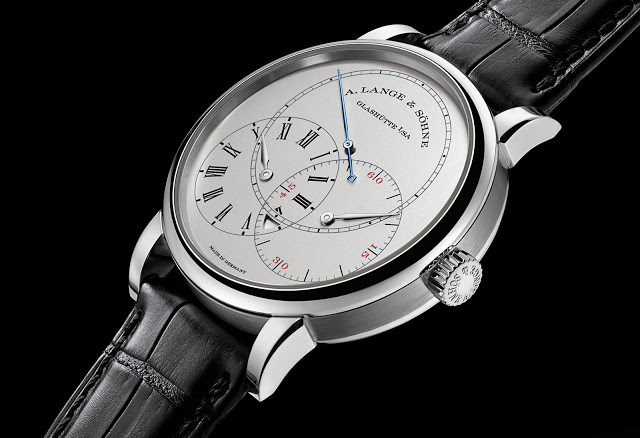 Contrary to other models that bear the Richard Lange appellation, this is under 40 mm in diameter, 39.9 mm to be exact. It’s platinum and limited to 100 pieces, with a price of €78,000 including tax. 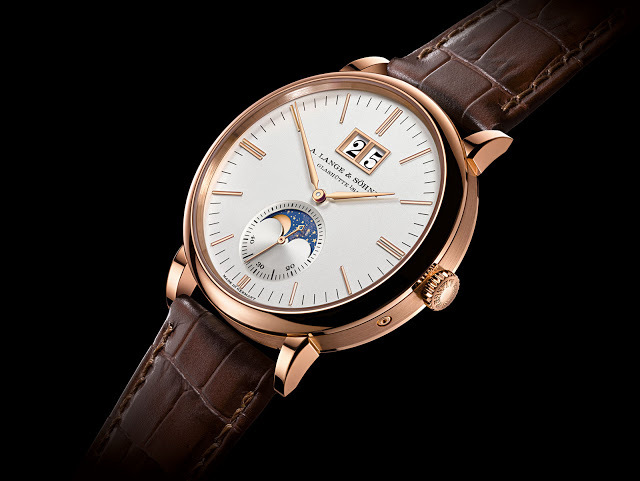 The third model with a new movement is the Saxonia Moon Phase. This is a self-winding, 40 mm wristwatch with an date display at 12 o’clock and moon phase at six. 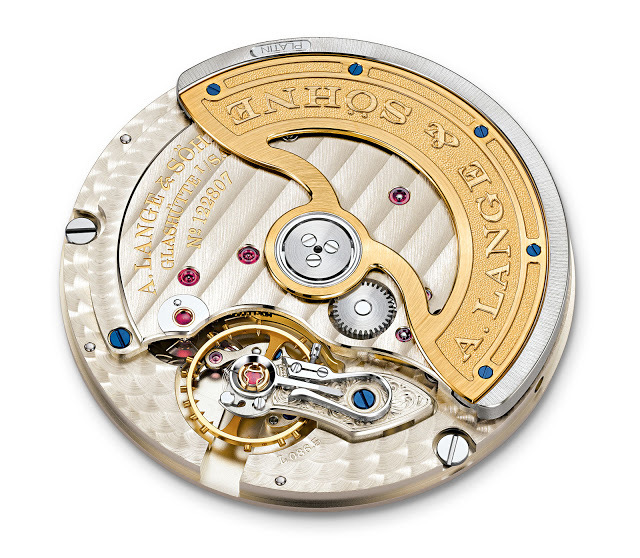 Available in rose or white gold, this is equipped with the L086.5 movement. 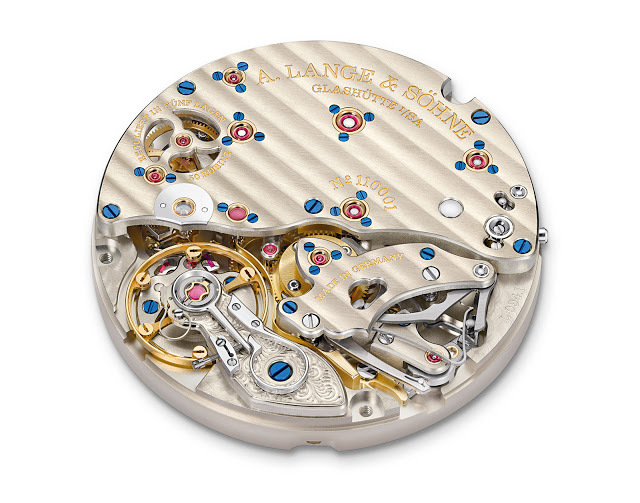 The calibre is based on the same movement originally designed for the Saxonia Dual Time, and is arguably Lange’s entry-level automatic movement. 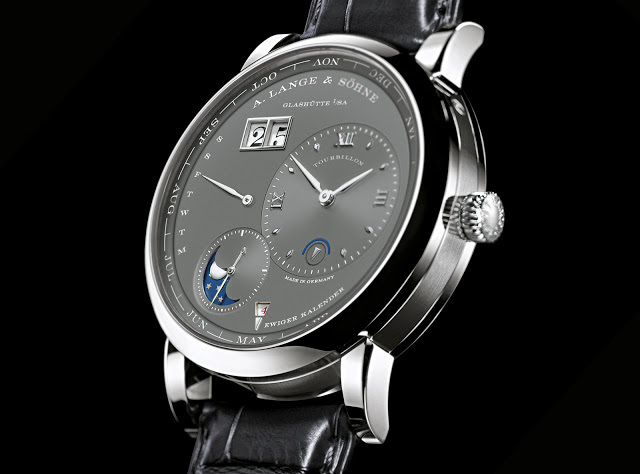 The Saxonia Moon Phase is €28,500 including tax. 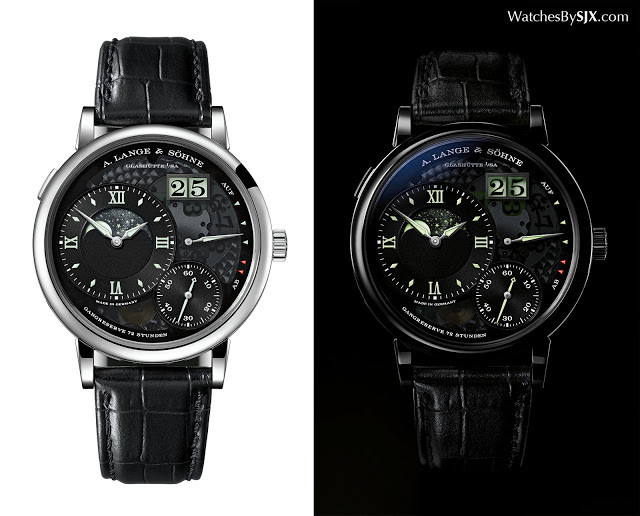 The Grand Lange 1 Moon Phase “Lumen” is the third such edition from Lange, after the Zeitwerk Luminous “Phantom” and Grand Lange 1 “Lumen”. It shares the same features as its predecessors: a tinted sapphire dial that reveals the mechanics underneath, as well as Super-Luminova on the hands, markers and date. Unusually, the moon phase disc is made of glass, with the stars and moon cut by laser. It sits on another disc covered with Super-Luminova which illuminates the celestial display from below. This is limited to 200 pieces in platinum, priced at €69,600 with taxes. 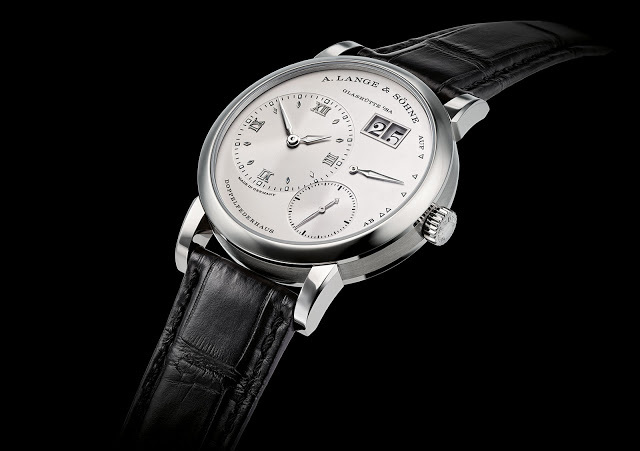 Slightly less luminous is the new Lange 1 in white gold, a variant of the second generation Lange 1 launched last year. It has the same dimensions and movement as the rest of the second generation watches; what makes it different is the Super-Luminova on the dial and hands for nighttime legibility. It’s priced at €31,700 with taxes. 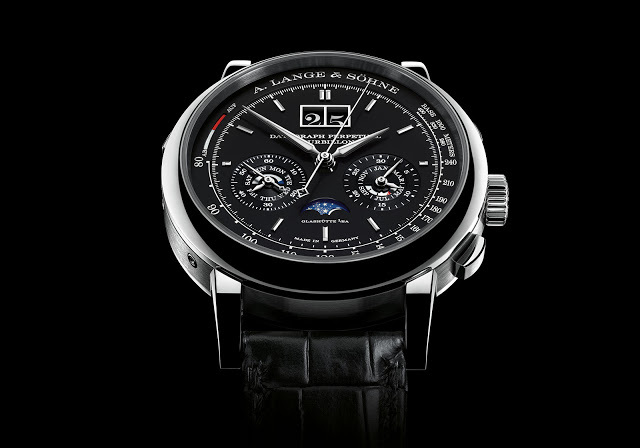 The Lange 1 Tourbillon Perpetual Calendar is a variant of the original model first launched in 2012 with a silver dial. Now it’s in white gold with a dark grey dial, but everything else (size, movement and functions) remain the same. This is €315,900 including tax. Last of the SIHH 2016 additions is another facelifted timepiece, the new Saxonia Thin. This is essentially the same as the original, a 40 mm watch that’s 5.9 mm high, with the key change being tweaks to the dial (longer hour markers and a cleaner dial). 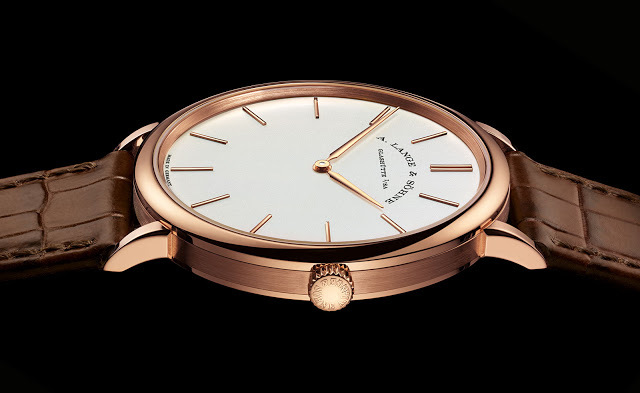 Available in white or pink gold, the Saxonia Thin costs €20,800. Stay tuned for the rest of our SIHH 2016 coverage live from Geneva. Big, bold and intricate, the Datograph Perpetual Tourbillon combines one of the most beautiful chronograph movements with a perpetual calendar and tourbillon to create one of the most complicated watches made by A. Lange & Söhne.